Who wouldn't want to be a chef? The riches, the parties, the endless parade of TV commitments, awards nights and brand ambassadorships. And as MasterChef has shown again and again (times nine), the young chefs of today don't get out of bed without a book deal and the firing of a glitter cannon. Sadly for all involved, the gulf between the fantasy and reality of the restaurant industry is as dramatic as the disconnect between lobster and Grange. But it's the huge shortfall between the rock-star illusion and the hard-drudge reality that has helped turn a staffing shortfall into a full-blown crisis as restaurateurs across Australia struggle to fill positions, both in the kitchen and front of house. 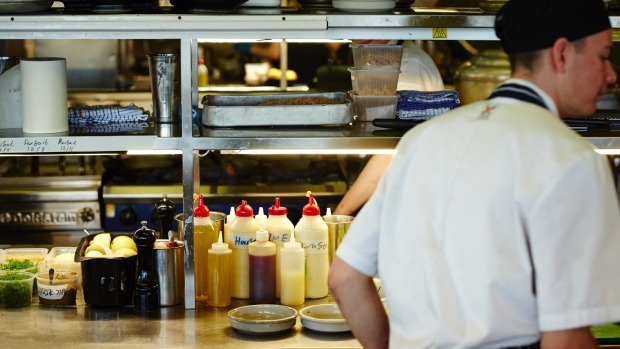 "We've been beating our heads against the wall about this issue for a number of years," says Restaurant & Catering Australian chief executive Juliana Payne. "It's become an increasing battle not only to get young people to start an apprenticeship but to get them to complete their training once they've started." Any restaurateur will attest that she's backed up by study after depressing study. To cherry-pick a few, data from the National Centre for Vocational Education Research shows that the take-up of apprenticeships – of which the hospitality and tourism sector accounts for the largest cohort – are on the slide over the past year by 2.9 per cent, while those who go on to actually complete their course have dropped by 16.1 per cent. Deloitte Access Economics' Australian Tourism Labour Force Report 2015-2020 shows a dramatic increase in hospitality businesses suffering skills shortages to 69 per cent of all surveyed, with a predicted 123,000-worker shortfall to hit the industry by 2020 as the cherry on top (there are a total of 853,000 people currently in the tourism and hospitality labour market). Part of the problem can be slated home to an ongoing image problem, Payne says. "One of the biggest barriers is cultural. There's an undervaluing of hospitality as a long-term career – we tend to value university qualifications over VET. In Australia there's an impression it's just something you do while you're in university." A recently released report from digital youth platform Year13 attests to the ingrained prejudice. After the ATAR: Understanding How Gen Z Transition into Further Education and Employment found 74 per cent of its youthful respondents wouldn't consider vocational training. You can rely on chefs and restaurateurs to put the problem in more colourful terms. "Restaurant openings are growing exponentially and getting the staff to keep up with it is a big problem. We're short about a dozen chefs in Rosetta Sydney – I'm pulling in a couple of guys who can work across the businesses. I'll probably be working three weeks lunch and dinner as well," says Neil Perry. Restaurant openings are growing exponentially and getting the staff to keep up with it is a big problem. Or try Luke Mangan, who told Good Food, "A lot of young kids see the TV shows and how glamorised it is. They want to write cookbooks and once they get in the kitchen they're peeling potatoes the reality sets in." Then there is Nino Zoccali, from Pendolino in Sydney: "It's a constant and worsening situation. We already have a chronic staff shortage, so the 457 visa change announcement sent shockwaves through the industry. Seventy per cent of [restaurant managers] have come in on a 457. Even Tetsuya wouldn't get into the country now. Hospitality has been identified as one of Australia's super-growth industries. It should be a fantastic story but instead it's a train wreck." The low rate of apprenticeship completions is just one part of a meta-narrative encompassing the massive growth of the industry, the negative perceptions of the industry, and even the fallout from political manoeuvring. The industry is growing at an unprecedented rate of around 14 per cent a year, putting a drain on an already limited talent pool. But the federal government crackdown on 457 visas – ostensibly to encourage businesses to hire locally – has brought a long-simmering issue to boiling point. The restaurant industry is the biggest user of the visa, which has been used to bring migrant workers into the country on four-year terms, with the chance of permanent residency. Announced in April, the visa changes means overseas chefs, cooks, waitstaff and restaurant managers can now access only a shorter-term visa without eligibility for permanent residency. "In actual fact the 457s have helped restaurateurs to fill in the staffing gaps. It's more than just back-filling roles, it brings in valuable skill sets and training opportunities for local workers," says Payne, echoing the broader industry lamentation that it has fallen victim to political opportunism, and a knee-jerk reaction to a handful of widely publicised cases of visa rorting. "It's a huge problem," says hospitality consultant Tony Eldred. "The industry has expanded quicker than it has the ability to recruit and process people up to that level. The 457 visa issue has helped compound it all. It's really reached crisis level." He points out that even the reinstatement of the 457 visa wouldn't be an answer to the head chef problem. "The people coming in on a 457 didn't understand our labour laws and supply chains. They were useful up to sous chef level. But the demands on a chef have increased substantially. They now control the single largest amount of money going through a restaurant in wage and food costs and therefore control a huge amount of the profitability. 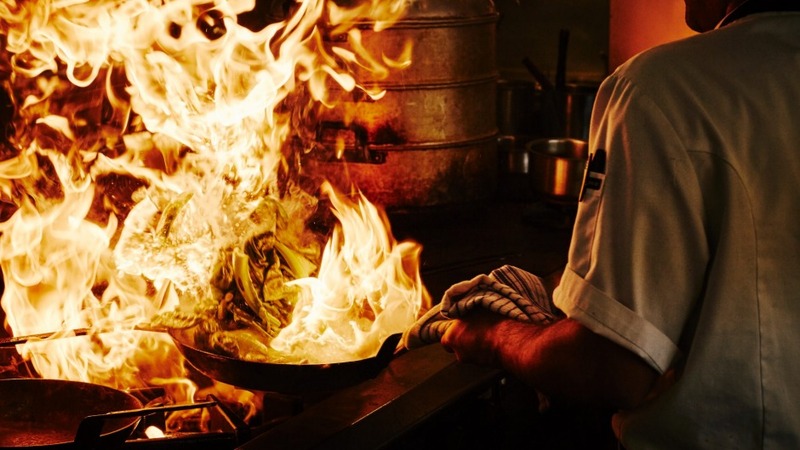 There's a huge shortage of people who can both cook and manage and it comes down to the training colleges, which are not meeting the demands of industry." In the face of the staffing crisis, the bigger operators have headed for lifeboats of their own making. In-house training has become an expensive necessity to keep the employee pipeline flowing. 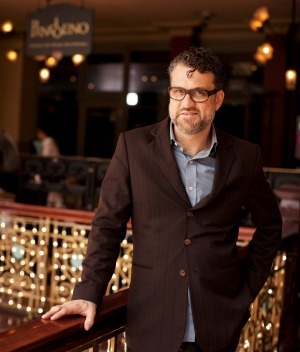 Chris Lucas of the Lucas Group, the Melbourne-based operator of Chin Chin, Baby, Kong, the recently opened Kisume, and soon to be moving north with a Sydney version of Chin Chin, has a training department with four full-time staff. He estimates he's spent $2.5 million on training alone in the past 12 months – and he's not alone. "All the bigger operators spend a ton of money on training. It's a way not only of getting staff with the skill-set you require, but it's a way of retaining staff." Over the past two years the Lucas Group has almost halved its staff attrition rate, justifying its owner's reading of the tea leaves that the staff shortage had to be dealt with head-on. "I took the decision a while ago that there was no magical resource pool out there that's going to hand over ready-made waiters and chefs. But even so, under the new visa regulations I probably wouldn't be able to open a restaurant like Kisume. I wouldn't have been able to bring over Jonathan Ross from Eleven Madison, or the sushi chefs. I really hope the government comes to its senses… Look at Chef Moon (Kyung Soo), for example. He's busy training 10 Australian kids how to be sushi chefs. John Ross is teaching six young sommeliers the nuances and know-how from the best restaurant in the world. It's invaluable training and it actually inspires young people to take up professions we desperately need." To any bankers, teachers and road workers reading this, the industry travails may sound like they're a problem twice removed. But they're likely to be experienced first hand by everyone who likes to eat out even occasionally: through the service you receive next time you sit down at a restaurant table, and through the food that reaches that table. It might even be helping determine the style of restaurants dominating the market. "It's all driving experienced people in the industry to go downmarket because they can't find the professional staff and they're no longer making money," says Eldred. "The rise of the so-called fast casual sector is certainly part of the story." The moral of the story: next time you bite into a burger or fried chicken wing – the talismans of the rapidly growing fast-casual sector – take a moment to think about the macro-economic factors that subtly influenced your meal choice. Larger restaurant groups, with their enhanced financial and logistical clout, have strategies in place to deal with staffing issues, but it's a different story for single-restaurant operators, who increasingly find themselves resorting to underqualified, inexperienced staff to keep the doors open. "I've had comments from members of the public about restaurants with good reputations and they go there and it's more like a scene from Fawlty Towers," says Eldred. "The real problem is they just can't find good staff so they've been grabbing warm bodies just to keep the floor running." A keen observer of the restaurant industry for the past 30 years, he describes the current situation as a seller's market for chef and front of house skills. Which really takes us back to our initial question: why aren't enough chefs and waiters coming up through the ranks? There might not be a book deal and a glitter cannon at the end of it, but the prospect of an industry that's growing where others are shrinking ought to be looking more enticing. "Hospitality is the biggest area where there is greatest jobs growth coming in the future," says R&CA chief executive Payne. "Other sectors such as mining and manufacturing are all downsizing. Hospitality and tourism is a huge employer with huge growth prospects. If we can get people interested, get them mentored through their study and see it through to completion they will have a job at the end of it. It's really as simple as that." Leading chefs say focused education is crucial in an industry struggling to keep up with its own success. For Luke Mangan, a career as a chef mightn't sound like the most enticing thing in the world. "The hours aren't great, it's not sociable, the money's perhaps not where it needs to be, it's really a lot of hard work." But appropriately for a man who describes himself as no culinary genius but the product of hard slog, he's a firm believer in the transformational power of education and mentoring: "It's so important to retain staff. 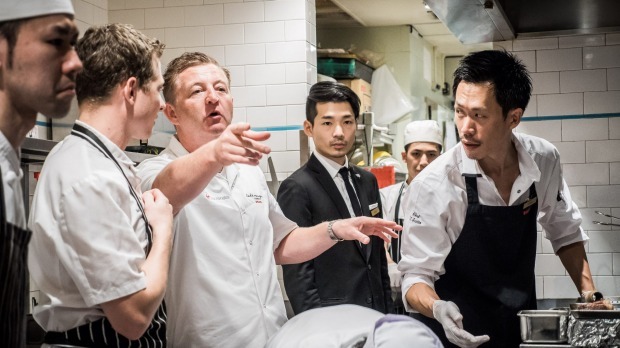 I have apprentices from 10 years ago who are now running my kitchens in Asia." Mangan's ethos about encouraging young people into the industry – and then encouraging them to stay – led him to create the Inspired Series. 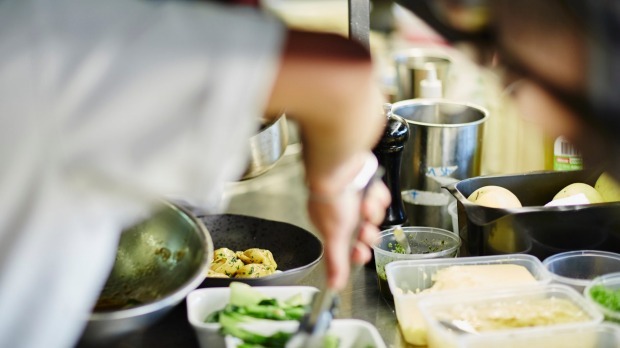 In partnership with TAFE NSW, it gives culinary students and young professionals access to industry leaders such as Peter Gilmore and Jason Atherton. Now rolling out into a nationwide program, it's arriving at William Angliss in Melbourne on August 21 with the help of chefs Guy Grossi and Teage Ezard. Grossi is another believer in the importance of education as the industry's bloodline. A Fellowship with the International Specialised Skills Institute has taken him on a recent study tour of overseas hospitality training schools to unearth changes that might be made domestically. 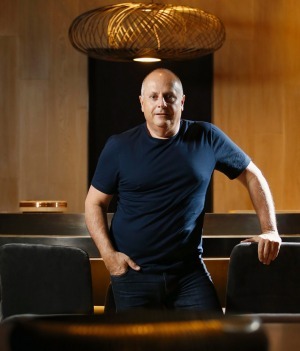 "If you could provide young people with a proper business degree that was hospitality-driven, you'd definitely attract more people in, as well as better serving the needs of industry," he says. "Perhaps even a tertiary course at university level, rather than TAFE, could be the answer, by covering business skills, accounting skills and entrepreneurship. Our industry is thriving, which is great, but in 15 years' time if we don't have intelligent talent coming through then god help us ... we'll just keep opening restaurants with no one to run them." Correction: An earlier version of this story quoted Nino Zoccali as saying 70 per cent of his staff come in on a 457 visa. This has now been amended.